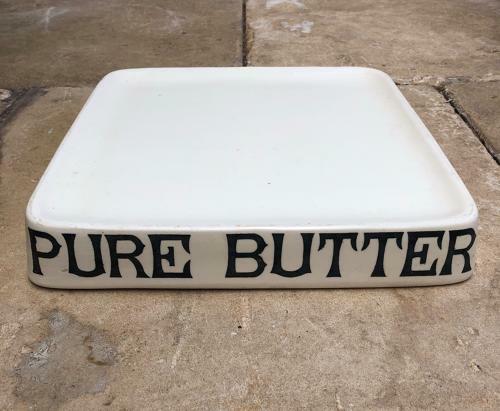 SUPERB Condition Edwardian White Ironstone Grocers or Dairys Slab for PURE BUTTER. Butter would have been displayed on this slab for sale...cut from a large slab of butter. Today they are now popular displayed in kitchens and this one is one of the best I have had. No damage...no restoration, wonderfully clean. One weeny spot on the back where the glaze has been missed but a lovely one.